You are invited to Aspire to LEAD! 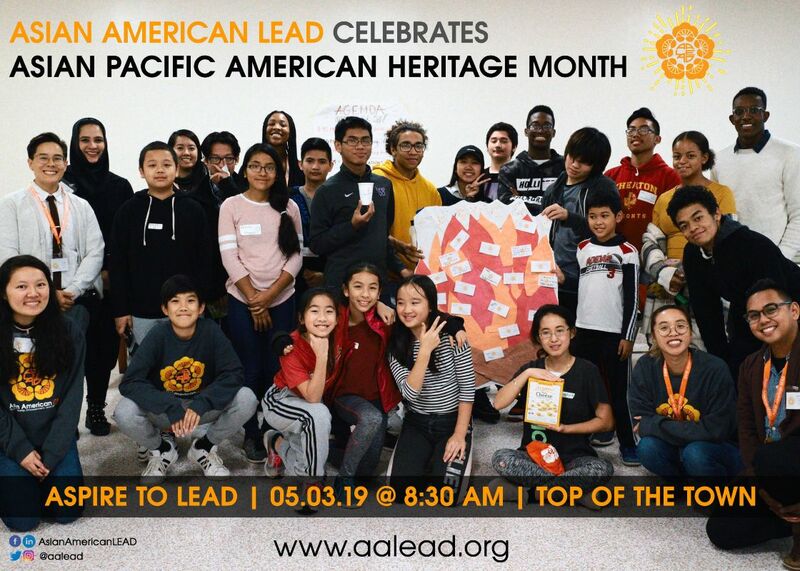 You are invited to celebrate Asian Pacific American Heritage Month (APAHM) at our upcoming Aspire to LEAD Breakfast & Fundraiser this May! Listen to stories from local APA youth, network with local leaders, and learn more about the contributions of APAs in the community. Come and see how local youth are Aspiring to LEAD and how you can help to support them and Aspire to LEAD yourself. The breakfast will celebrate APAHM with a short but powerful program that will include videos, speakers, and complimentary breakfast. Yes, it is a fundraiser, too. We will be asking attendees to consider making a contribution. There is no minimum or no maximum gift requested. It will be the job of the organization to inspire people to want to give. We hope to see you on the morning of May 3!